One-time activation is quick and easy. You're just treatments away from permanent results. Your Tria Hair Removal Laser will not work until you have activated it. Charge your new device so it's powered up and ready to use. 9-digit number. It is also located on the outer sleeve of the package. Sorry, we can’t find your serial number in our system. Please re-enter your serial number. 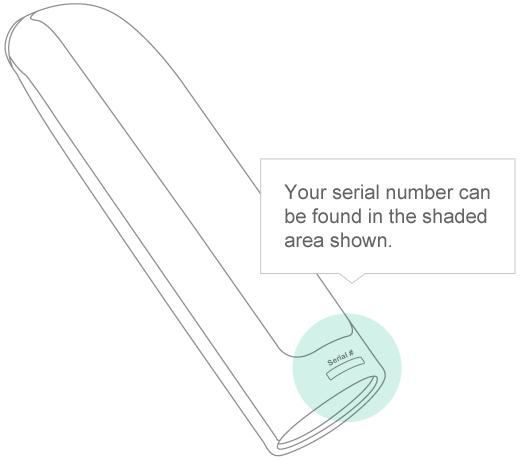 The serial number is indicated on the bottom of your Tria Hair Removal Laser. It is an 8 or 9-digit number. The serial number is also located on the outer sleeve of the package. If you continue to experience difficulties, please contact our Customer Care team at customercare@triabeauty.com.